I’m so excited to be guest posting for the lovely Laura and taking part in her ‘My Mountain’ series. 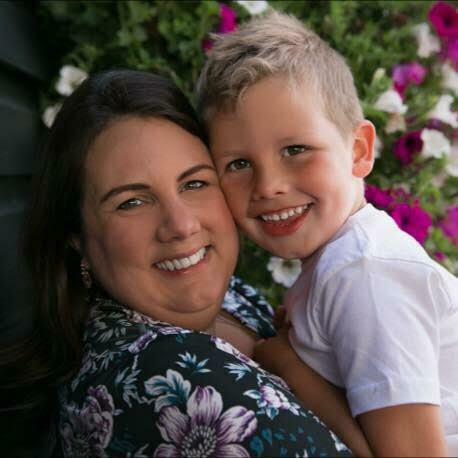 With that I’d like to introduce myself, I’m Kelly-Anne and I blog over at Mimi Rose and Me, where I share all the adventures about my life with my beautiful family who are always following the fun. I will blog about almost anything that I need to voice my opinion on, along with general ramblings, food related posts and even parenting tips. But I will say that this is a continuous learning curve and one that I will probably continue to do so from here on out. Anyway I think I have rambled on enough, so let’s get back to my mountain. Nothing can really prepare you for being a mother. You can read all the books, attend all the antenatal classes and listen to all the advice that people like to offer freely, whether you ask for it or not. But when it comes down to this whole motherhood thing and you have a little person staring back at you, you will never know what it is like to be a mother, until you are one. For me, becoming a mother to my beautiful little lady has been one of the biggest accomplishments that I have ever and probably will ever make in my life. Any decision that I have ever made in my life has never brought so much joy and so much love into my heart. I am more than sure that many of you reading this, mothers or fathers, will understand exactly what I mean. We all have felt what it’s like to love another, but being a mother or a father is a completely different form of love, one that is everlasting, one that is unconditional, a love that’s impossible to break. But my journey into motherhood has been by far one of the hardest things that I have ever had to go through, it’s been an emotional rollercoaster. In order for you to understand I need to take you back, briefly. I promise I will try to keep it short and to the point and not go off on a tangent, like I love doing on my blog. Ever since I can remember I have always been at the doctors one time or another. It was like I spend most of my childhood waiting for specialists, results and attending no end of appointments to see my progress. I can remember those times, vividly. One time I could remember lots of questions going through my head about why a doctor needed to put that jelly on my tummy to try and listening to my tummy. Just like a lady who would be expecting a baby. After all these visit and tests, in a nutshell my parents were told that I had abnormally small ovaries for my age and if I fail to reach certain milestones by a certain age, it would mean fertility problems in my adult years. My parents had to basically wait until I hit puberty until we knew for sure that I would be unable to have my own children. I had the most amazing childhood and was the perfect teenager with the mood swings and giving my mum and dad some back chat. I soon became more interested in boys and had a few boyfriends before I met my amazing husband. Our life together was always busy. I graduated from University, my husband completed his engineering degree, we moved in together and even got engaged. After six years as an engaged couple we decided to tie the knot and became husband and wife. We enjoyed lots of holidays, spending our spare cash on whatever we wanted, enjoyed the lie-ins and planning things on a whim. It was a wonderful time, carefree some might say. But as a married couple, naturally we were asked questions. ‘When are you going to have a baby?’, ‘Is there a bun in the oven?’ We wanted a baby of course, but we were blissfully unaware of our journey yet to come. I always thought that because I got married and started trying for a baby there would never be an issue, but one negative test after the other. I knew something wasn’t quite right. It was then I was brought back to the time of all the doctor appointments, the tests and waiting for results. The outcome was still the same. My ovaries are too small and that was the reason why I was finding it hard to conceive, my chances of becoming a mother were very slim. More negative tests it took a long time to deal with the shock and disbelief that I wasn’t getting pregnant. I blamed myself. My husband was always so supportive even though he was going through the same feelings and emotions just as I was. I would feel so guilty all the time, I even told my husband a few times that he would be better off without me. I was very fortunate to be with someone who is so understanding who would always tell me that we were a team, whether this team included our own babies or not. Many women don’t want to talk about their feelings of pain, frustration and shame that comes with infertility. I think throughout society, there is a kind of stigma that to be a real woman you should be fertile and have babies. If anyone needs extra help, we are somehow less perfect or less of a person. But as a woman who has had fertility problems we just cannot beat ourselves up about it. Some women can look at a male and become pregnant, others it could take a little longer than they first anticipate and some need extra help along the way. No way is the right way for conceiving a baby, it just has to be the right way for you. A turning point for me was when trying to conceive a baby naturally began to have an impact on my life and my marriage. It was then we decided to stop trying for a baby and to seek further advice but then something incredible happened. My husband and I were very fortunate and found out that we were expecting a baby. I thought I was unwell, but it turned out to be something that we have been wanting for a long time, unexpectedly too. Our beautiful miracle baby girl, Amelia-Rose. A true blessing and one that I will never ever take for granted. The only way that I can end this guest post is to say, be thankful and appreciate the things you have in your life and remember whenever you meet new people, stop and think that they could be fighting a battle that you know nothing about, so be kind. Hi, my name is Kelly-Anne, I’m a 28 year old mother to one, my cheeky little lady Amelia. I am also a wife to my lovely Tony and we have set up our forever home in the beautiful countryside of Norfolk. I first launched Mimi Rose & Me back as a way to keep my brain from turning to complete mush whilst on maternity leave. 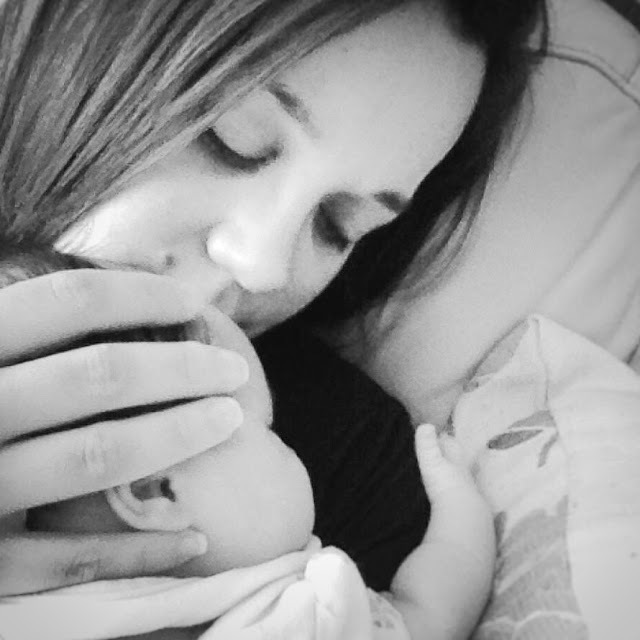 Becoming a mother has changed my life and along with the blog my life is more fulfilling than I ever imagined. I hope to continue this new love for blogging whilst being the best wife and mother I can be. My blog is a UK family, beauty and lifestyle blog where I write about my life with my beautiful family who are always following the fun, living life inspired. Thank you so much for featuring my post on your series.